As we enjoy Fall, conserving water remains a priority. Here are some easy ways to get the biggest bangs for your water bucks. Less Lawn. I write about this all the time. Reduce your lawn areas by half. The average American uses 200 gallons each day they water their lawn. Consider replacing some of that grass with an attractive groundcover which is drought resistant, covers a large area, and requires zero mowing. Super Soak. Up to a third of all water from yoru irrigation system can evaporate during the heat of the day. Give your plants fewer, heavy soakings. If your watering routine includes using sprinklers, think about only using them in only use them in the morning. Grey Is Good. 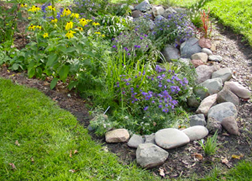 Recapturing grey water or rainwater can provide a free source of garden irrigation. These systems can be easily installed and even incorporated into irrigation systems. Drip. Drip. Drip. Drip irrigation systems water plants right at the root and serve as an efficient alternative to sprinkler systems. Be sure to get a timer for maximum effectiveness. As winter weather arrives, the threat of snow storms and ice arrive as well. When snow piles up it can break and bend branches and cause serious damage. 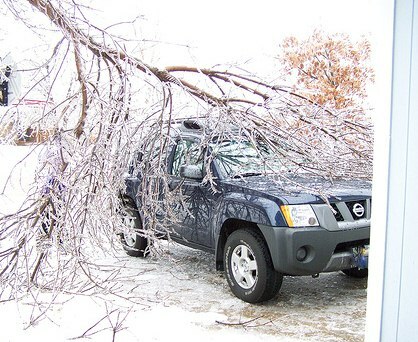 If your tree hasn’t been maintained well, the threat of damage can extend to your cars and home if they fall due to the weight of the snow and ice. High winds will also compound any damage to ice-covered trees and shrubs. A great way to prevent these problems is to take a tour of your landscapes and gardens before the first snow fall and make sure your trees are healthy and in shape for winter. Be sure to trim them well. If you need help, your local tree services can be out quickly to help get landscape in order. A healthy tree can help keep your home safe, and save you thousands of dollars in emergency landscape services.